Last week was really busy for me, I didn’t spend much time at my craft table. This is a card I scrambled to make Sunday morning, to be able to post on Monday. Supplies: Stamps – Essentials by Ellen, Stampin’ Up!, paper – Neenah Classic Crest Solar White, Stampin’ Up! Marina Mist (retired). 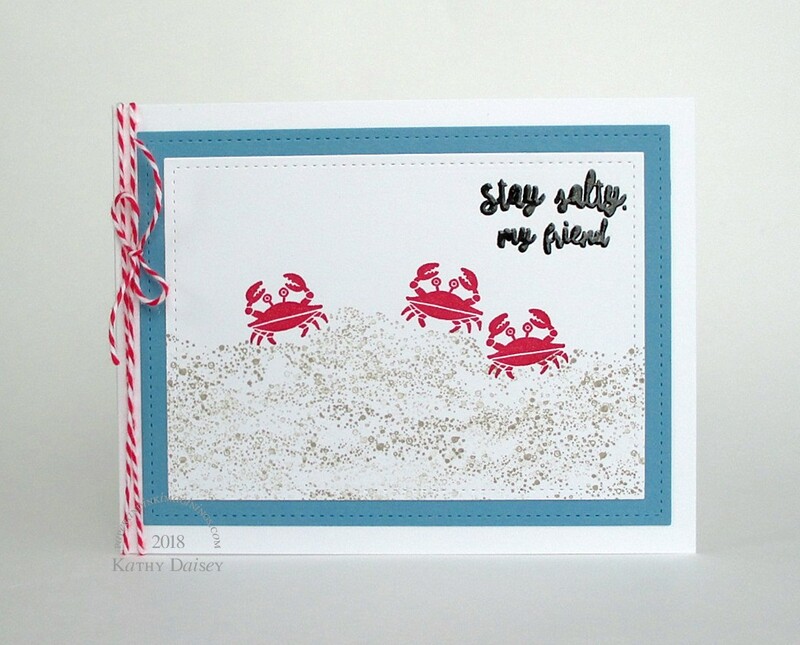 inks – Stampin’ Up! Crumb Cake, Real Red, VersaFine Onyx Black, dies – Lawn Fawn, embossing powder – Filigree Fine Art Powder clear, twine – MarkerPOP. Categories: card, encouragement | Tags: card, Essentials by Ellen, Lawn Fawn, MarkerPOP, Neenah, Stampin' Up!, Tsukineko, VersaFine | Permalink.